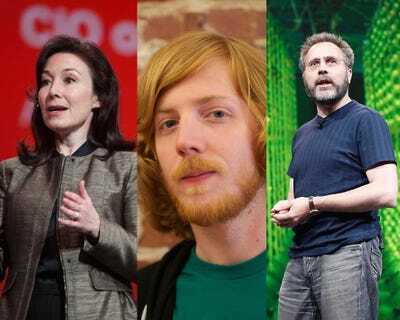 Business Insider/Julie BortThese are the most powerful people in enterprise tech this year. The world will spend nearly $US4 trillion dollars on technology this year, alone, with the vast majority (over $US3 trillion) spent by companies on business tech, Gartner predicts. When that much money is involved, it always creates one thing: power. This is a list of the most powerful people in that multi-trillion dollar industry, many of them multi-millionaires, or even billionaires, in their own right. Some are powerful because they run the biggest, baddest enterprise tech companies around. Others are powerful because they are changing the status quo, upending the business models or technologies of those powerful companies. Others are the powerful people behind the well-known stars of this industry. The company that Lawson founded, Twilio, lets an app send you a text or automated voice call and has at one point touched 95% of American adults, the company says. It's everywhere. 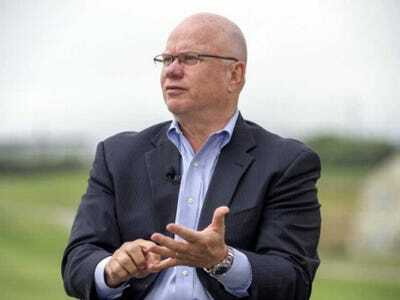 Twilio was even the unsung hero behind Samsung's $US200 million acquisition of SmartThings in August. Lawson was an early product manager with Amazon Web Services, founding CTO of Stubhub.com, but since Twilio, his personal power has been on the rise. He just joined the board of the the wireless industry's lobbying organisation, the CTIA Wireless Association. Paula Long sold her first company EqualLogic, to Dell for $US1.4 billion in 2008, and her highly anticipated new startup, DataGravity, just came out of stealth in August, with more than $US42 million in funding from Andreessen Horowitz, General Catalyst Partners, and Charles River Ventures. DataGravity's software can automatically analyse information across a company's computer storage systems. Long is known today as a storage engineering wizard, but her first job, at age 14, was manual labour on a tobacco farm. She also did a stint working on artificial intelligence and robots. Krach has enjoyed a long and successful career as one of the top business leaders in the country. He was GM's youngest-ever vice president at the age of 26, before joining the team of Rasna Corporation, which sold for $US500 million to Parametric Technologies. He then went on to co-found Ariba, a business commerce solution provider, which was later sold to SAP for $US4.3 billion. In 2011, Krach took the CEO position at DocuSign, the e-signature software provider that has more than $US230 million in funding. He was already its chairman for two years before being named CEO, so it was a natural transition for him. DocuSign now has 40 million users in 188 countries worldwide. Note-taking app Evernote remains a favourite for consumers, workgroups, used by 16,000 companies, it says. With more than $US270 million in funding and more than 80 million registered users, Evernote is now valued at well over $US1 billion. At the center of all this is Libin, who's founded the company in 2007. Libin wants to build a company that lasts for a 100 years. Halligan is the CEO of HubSpot, a marketing software company that went public in October 2014. HubSpot makes 'marketing automation' software, which helps sales and marketing teams create sales strategies based on email, social media, blogs, and so on. But Halligan is also known for building a corporate culture at HubSpot so open and fantastic, an MIT professor studied it. Prior to the IPO, HubSpot was a VC darling, having raised $US100.5 million from investors like Google Ventures, Salesforce, and General Catalyst Partners. Before HubSpot, Halligan was a VC at Longworth Ventures and VP of sales at Groove Networks. He was named Ernst and Young's Entrepreneur of the Year in 2011. In March, Frank Frankovsky, the man that led Facebook into creating its game-changing organisation the Open Compute Project, left Facebook for a startup. 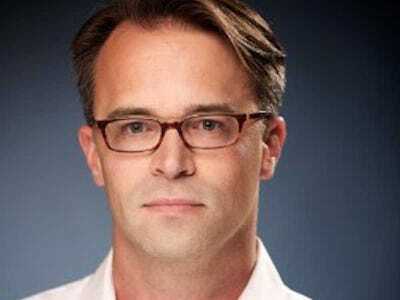 While Frankovsky is still the leader of OCP, Taylor has taken over his role at Facebook and is also on OCP's board. OCP is radically changing the way hardware is built for huge data centres. It is creating new servers, network switches and the like, and giving those designs away for free to anyone. Facebook's data centres, now under Taylor, is the proving point for all of this new technology. And he's certainly up for the task. He earned his Ph.D. from MIT in Ultrafast Lasers and Quantum Computing. 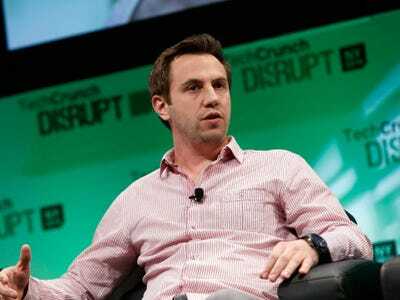 Digital Ocean has been on a whirlwind adventure that began two years ago, when Ben and his brother Moisey Uretsky met their co-founder Mitch Wainer through a job ad they posted on Craigslist. The three built a new kind of cloud web hosting service where affordable web servers that it calls 'droplets' can be set up in seconds. A mere 18 months after launching, Digital Ocean has become a cloud phenom, the 5th largest hosting provider, in terms of numbers of computers, according to one site that measures such things. The young company is profitable, Uretsky told us, and has been opening up new data centres worldwide at a rapid pace. 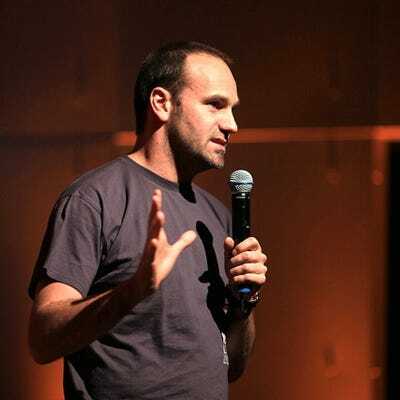 Canonical, the Linux company founded by flamboyant South African multi-millionaire Mark Shuttleworth, just turned 10 years old. While the words 'Linux', 'Canonical' and 'Ubuntu' have NOT become household names, they are well known in the enterprise world. Canonical says it has 25 million Ubuntu users, which by that count, would make it about the third most popular computer operating system. Shuttleworth's company is the main competition to the dominant Linux vendor, Red Hat. That's important because as Red Hat grows, its been known to throw its weight around. Shuttleworth is also important because he thinks big. Ubuntu was created to make Linux easier to use for the average person (and it does). In 2011, he proclaimed that it would be used by 200 million people by 2015. We'll see. But he does have a plan: put versions of Ubuntu on everything from cloud computer servers to PCs, phones, tablets and TVs. 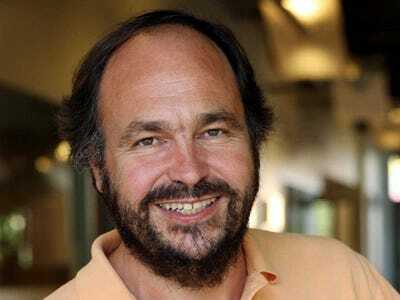 Shuttleworth made his millions in 1999 when he sold his company Thawte to VeriSign in December 1999 for $US575 million. He'll forever be known for taking a vacation in 2002 on the International Space Station. 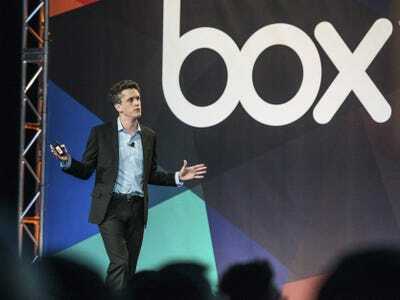 Levie's idea to turn an ordinary file sharing software into a business collaboration platform has made Box one of the hottest enterprise startups in Silicon Valley. Box filed documents to go public earlier this year, though has postponed its IPO for now. No matter. Box is now valued at roughly $US2.4 billion and Levie has become a wealthy angel investor in his own right. Although there are concerns over Box's delayed IPO, there's no question Levie remains one of the visionaries in the enterprise tech landscape. Solomon Hykes one of those tech great success stories. He was quietly working on a project for other software developers that he thought no one would care about from his mother's basement in Paris. But the tech, called Docker, caught on like wildfire. A year after launching an actual company, he has turned the enterprise world on its head. Docker is an open source project, meaning he gives the basic tech away for free. It's a way to wrap apps with everything they need so developers can easily move them around the internet, as an alternative to VMware's flagship software which currently dominates the enterprise market. Docker has grown so popular, so fast, that in August VMware came to Hykes to strike up a partnership deal. So did Google. And Microsoft. 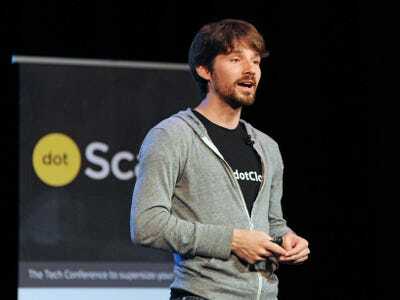 He's raised $US55 million, including a $US40 million round in September, and has some famous angels, like Yahoo founder Jerry Yang. 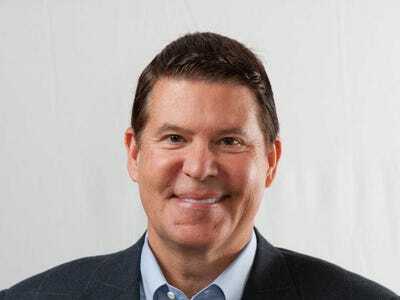 Dietzen is the CEO of Pure Storage, a fast-growing all-flash enterprise storage company. Although flash still costs more than hard drives, it's becoming more popular in the enterprise because it's more power-efficient and takes up less space. Pure Storage is one of the leaders in this space, having raised more than $US474 million for a valuation of roughly $US3 billion. Dietzen is a proven serial entrepreneur, having led three successful startups in the past, including WebLogic, Zimbra, and Transarc. He's also on the board of big-data company, Cloudera. Cloudera offers enterprises a technology called Hadoop that's at the center of the 'big data' craze. In March, Intel invested a massive $US740 million into Cloudera, as part of a $US900 million round that valued the company at $US4.1 billion (total investment in Cloudera to date $US1.2 billion). Olsen was Cloudera's original CEO and now he's lining up partnership deals with all the big names in enterprise tech (Microsoft, Cisco, Oracle, etc.). Those partnerships are why Cloudera has become so popular and so valuable. Last month, Symantec joined the crowd of enterprise companies that are cleaving themselves into two to offer more value to shareholders. Brown led the company to that decision, joining as CEO in March. Symantec has been struggling for years as companies turn to new ways to secure their computers and organise their documents. It has gone through three CEOs in three years including Brown. Since he stepped into the corner office, Symantec returned to growth and surprised Wall Street by beating revenue guidance. Other enterprise companies are also being pressured to split or do huge spin outs. Everyone will be watching Brown to see how Symantec fairs. Last month, HP decided to split itself in two, a process that will take about a year. When its complete, Weisler will be CEO of the new public company, HP, which will consist of the Printing and Personal Systems division that he's currently running. 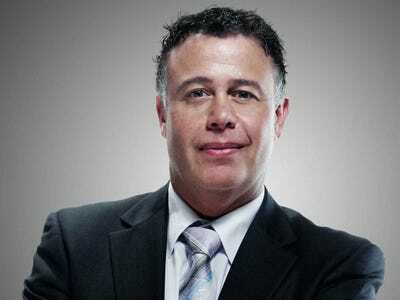 HP hired Weisler away from Lenovo in 2012. When HP's PC business experienced a horrible 2013, HP's current CEO, Meg Whitman, removed the unit's leader and promoted Weisler. Under Weisler, HP's PC business has been growing again. The printer business remains more profitable, but is rapidly shrinking. HP has given a glimpse at the game-changing tech Weisler will introduce to turn that around, with its new Sprout PC (no keyboard or mouse) and its up-and-coming 3D printer. HP is expected to raise the bar on 3D printing quality while also making it something every business can afford. 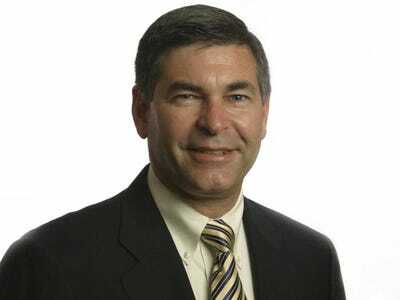 Templeton first joined Citrix as VP of marketing in 1995, and became CEO in 2001. Under his watch, Citrix has turned into a giant enterprise company with huge market share in cloud computing, mobility, and virtualization technology. More than 100 million users across 330,000 organisations worldwide use Citrix's solution, which makes Citrix worth more than $US10 billion. Templeton had planned to retire in 2015, but he reversed his decision in June 2014, after making a 'multiyear commitment' to remain as CEO. With more than 30 years of experience, Webb is one of the most influential leaders in tech. He currently serves as Yahoo's chairman and is on the board of Salesforce.com and Visa. But it's his work as an angel investor that really showers him with power. Webb is known as a 'super angel' via the seed-stage venture capital firm he founded, Webb Investment Network. It has a huge portfolio of investments in both consumer and enterprise tech, including companies like Badgville, Okta, and Nebula. 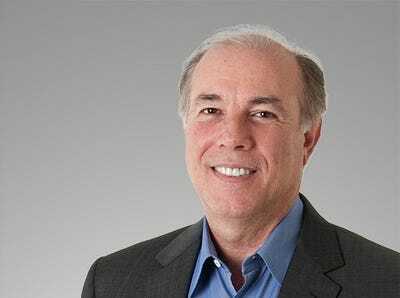 Mario Mazzola is the leader of a legendary brain trust of engineers at Cisco which, over the last 20 years, has been responsible for nearly every huge, successful product Cisco has ever had. He's done this through a highly-unusual set-up known as the 'spin-in' where Cisco funds his startups and then 'buys' them back for a large, predetermined sum. He's got rock star status on the Cisco campus and in the general enterprise hardware world. 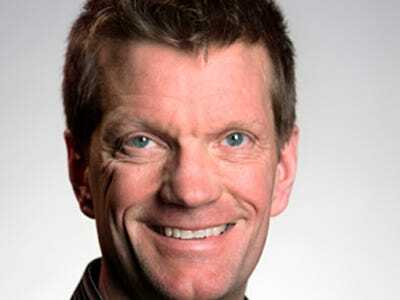 He's currently leading the team working on Cisco's critical new product, which will help it fend off rivals like VMware and host of new startups. VMware, an EMC subsidiary, is at a crossroads. It dominates its flagship market, software that makes computers servers run more efficiently. Now it's banking heavily on Casado to build a brand new market to dominate: the $US50 billion computer networking industry. Casado invented a new form of networking that catapulted him to rock star status in the enterprise IT world, and threw a bomb on VMware and EMC's relationship with a former close-partner, Cisco. But betting on Casado is paying off. In the two years since VMware acquired his startup for $US1.26 billion, he's on track to generate $US100 million in revenues for VMware, he tells us. Cloud computing is forever altering the multi-trillion enterprise tech world and that's largely thanks to Amazon's cloud, Amazon Web Services (AWS). Jassy has more than a decade of experience in leadership positions at AWS. 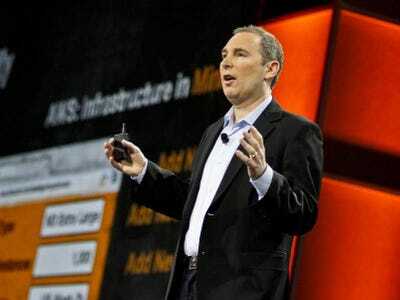 Under his watch, AWS has grown into a multi-billion dollar business, and it's now the fastest-growing segment among all Amazon businesses. All the big enterprise tech companies are now chasing Amazon, spending billions on their own clouds to do it: IBM, HP, Oracle, Cisco, etc. Under Whitehurst's leadership Red Hat became the first open source company to achieve $US1 billion in revenue back in 2012 and just two years later is expected to finish its fiscal 2015 at $US1.78 billion. That success is hugely important because with open source, the software is free. People pay for upgrades and support. So Red Hat is a business model beacon to countless open source startups. But, like all software companies, Whitehurst is also fighting a new battle as cloud computing threatens to change everything. He's building Red Hat's cloud services and lining up partnerships. And as Red Hat grows up, with billions of dollars at stake, he's started to play hardball to squeeze out competitors, a move that doesn't play well in the Kumbaya world of open source. Whitehurst learned those tactics in the airline industry, as he was previously COO of Delta. Holzle joined Google on Feb. 1, 1999, as employee No. 8. He's the guy responsible for designing Google's now legendary data centres. Back then Google's 'data center' was nothing but a few ugly hand-built computers stuffed into two small cages at a computer-hosting facility. Today Google is one of the biggest internet companies in the world and its quickly becoming a threat in the biggest trend, cloud computing. 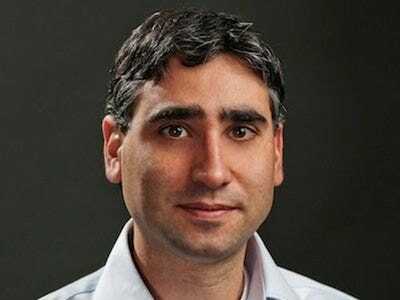 Hölzle is still responsible for all of Google's data centres but he's also in charge of Google's cloud computing tech. Google views the cloud Amazon and Microsoft are at war to grab this businesses. When Torvalds first released his own operating system called 'Linux' some 23 years ago, it was all meant to be a project he started 'just for fun.' Little did he know it would turn out to be one of the most revolutionary operating systems ever created. Linux powers most of the internet (Google, Facebook, Amazon ...), and it is the software from which Android was built. Linux sorts mail for the US Postal Service, and runs the controls for CERN, the world's largest particle physics laboratory. It also runs more than 95% of the world's 500 fastest supercomputers. 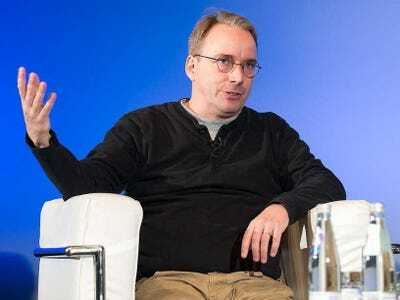 To top it off, Torvalds gives Linux away for free. He has a cult-like following and is considered one of the most iconic figures is today's tech world. Schiller has more than 20 years of experience at Apple, mostly being involved in the company's marketing positions. 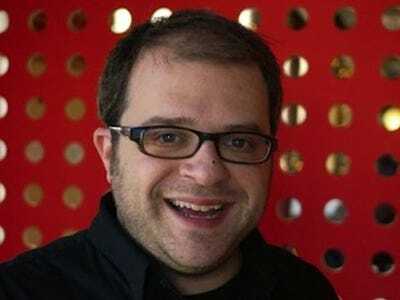 He's been a part of the marketing team that helped sell the Mac, iPod and iTunes, and iPhone and App Store products. And now he's helping Apple do a better job of selling all of those products to enterprises. Sources tell us he had a hand in Apple's landmark deal with IBM. CEO Tim Cook expects that partnership to sell a lot of iPads to enterprises. Schiller spent the six years of his career on Apple's marketing team before working in executive positions at FirePower Systems and Macromedia. He returned to Apple in 1997 and became senior VP in 2002. 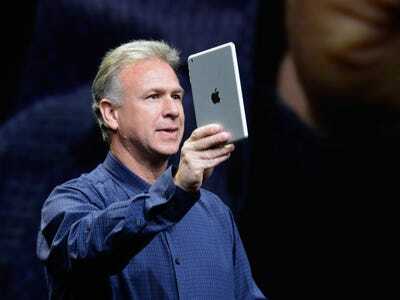 He often speaks at Apple's press events and there's no doubt that he's one of the major executives at Apple. Guthrie is in charge of Microsoft's Cloud and Enterprise group, the $US20 billion business that used to be run by Satya Nadella before he became CEO. His team is responsible for some of the biggest products at Microsoft, including Azure, Windows Server, SQL Server, and Active Directory. He was one of the original founders of the .NET project, as well. 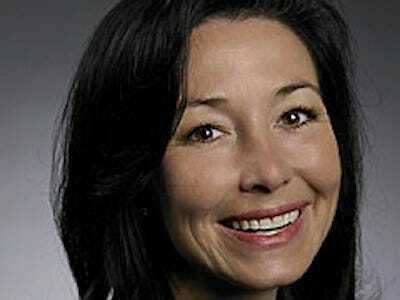 Since joining Microsoft in 1997, Guthrie has played a key role in Microsoft's server and database management. He often makes public appearances for Microsoft and is best known for often wearing a red shirt at those events. Under Ullal's leadership, which guided the company to both growth and profits, Arista Networks became a public company last summer and investors loved it. 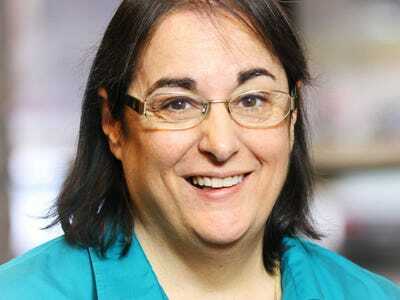 She runs Arista with its co-founder, billionaire Andy Bechtolshiem, another famous and powerful Valley engineer. 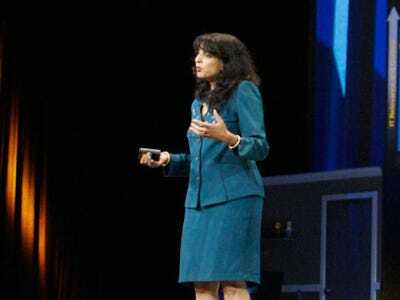 Prior to Arista, she was a top executive at Cisco. Bhusri has been one of the leading visionaries in tech for over 20 years. Workday has changed how enterprises use human resources tech. 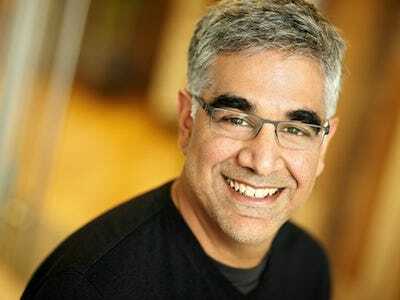 Besides his job at Workday, Bhusri is also a powerful VC at Greylock Partners, on the boards of Cloudera, Okta, Pure Storage, and Tidemark. He also serves on the board of Intel. Forbes estimates his net worth to be roughly $US1.3 billion. Horowitz is one of the most experienced tech leaders and investors in enterprise. 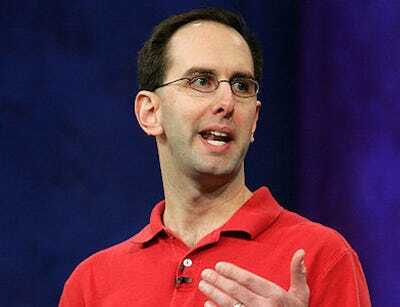 He was a major part of Netscape in the 90s, and was the CEO of Opsware, which was sold to HP for $US1.6 billion in 2003. 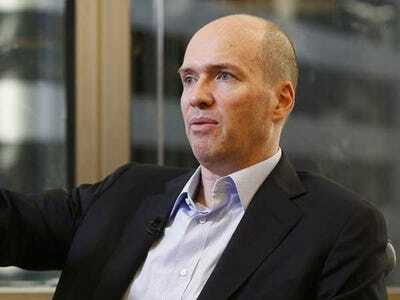 Andreessen Horowitz, the venture firm he co-founded with Marc Andreessen, is a true power player. Its portfolio includes some of the hottest startups, such as Airbnb, Box, Jawbone, and Okta, among others. VMware is both a public company and a subsidiary of enterprise giant EMC, which owns 80% of of it. Gelsinger took over as CEO of VMware in 2012 when the previous CEO, Paul Maritz, left to work on a new subsidiary for EMC. Gelsinger is leading VMware through a pivotal time. The company's flagship product is under attack by a popular new technology from startup Docker called 'containers.' So he fired up a new partnership with Dockers. Meanwhile he's trying to disrupt his former partner Cisco with new software that runs enterprise networks. And he's taking on his former employer and current master EMC, with a new storage product called EVO Rail. On top of that, EMC is facing pressure to spin VMware out. He could wind up as CEO of a wholly independent public company, valued as much, or more, as EMC. It's been over a year since Dell took his company private for $US25 billion, after winning an epic battle against activist investor Carl Icahn for control of the company. Going private has allowed Dell to focus on long-term goals, instead of having to worry about short-term quarterly results. 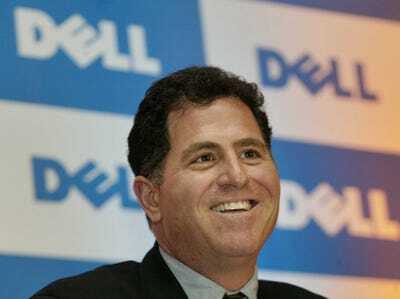 Dell, is the world's 3rd largest PC maker, but is now more focused on the enterprise world, rolling out ever more new products and services to take on rivals IBM and HP, with partners like Microsoft and VMware. Before Maritz went on to form Pivotal, an EMC spinoff that provides a cloud platform for big data apps, he was a major part of EMC's overall business. 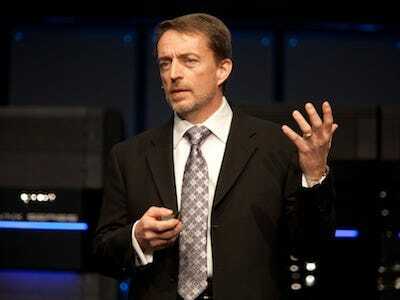 He was VMware's CEO, leading the company's transformation into a cloud computing and virtualization powerhouse. He was long-considered the front runner for EMC's CEO job, too. Maritz is reportedly planning to retire soon, but until he officially does so, he will continue to be one of the most important people to follow in the cloud computing business. Krzanich was named Intel's sixth-ever CEO in May 2013. Having spent more than 30 years at Intel, Krzanich has been a part of the chip giant's massive growth through the '80s and '90s. He's mostly been on the supply chain and operations side of the business, and has an engineering background. 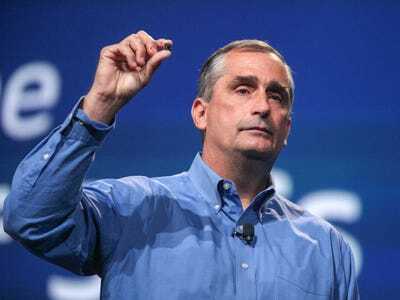 Since taking the helm, Krzanich has launched a major reorg at Intel to try and nab a share of mobile devices and he's made some hard decisions, like layoffs. Krzanich is known for his quiet management style. Although he rarely speaks to the press, there's no question Krzanich is Intel's most powerful man and one of the most influential power players in enterprise tech. 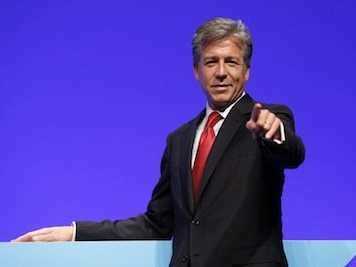 SAP is a huge multi-international enterprise software company based in Germany, worth $US82 billion, and for the first time in its history, it's being run by an American, Bill McDermott. McDermott had been co-CEO with his European counterpart Jim Hagemann Snabe for four years. But in May, he won an internal power struggle and the company handed the sole reigns to him. With that came a corporate shake-up that included the exodus of one of SAP's star engineers. McDermott was born to be a business mogul. He did his first leveraged buy-out at age 16, of a neighbourhood deli. No. 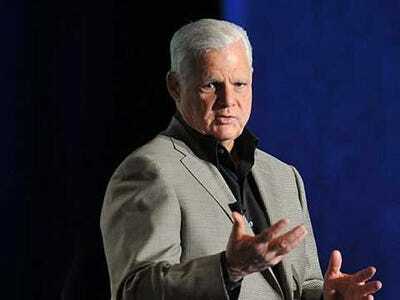 10: EMC's Joe Tucci, Last year at the helm? Since joining EMC as COO in 2000, Tucci has led the company's transformation from a high-end storage storage platform to a 'federation' model-based company that includes VMware, Pivotal, and RSA. Last year alone, EMC recorded $US23.2 billion in revenue and it continues to be one of the powerhouse players in enterprise storage. Despite the pressure from activist investors to spin off VMware, Tucci remains adamant in his belief to keep the 'federation' model. Tucci is due to retire as CEO in early 2015, though he may stay on as chairman. Until then, his power remains indisputable. 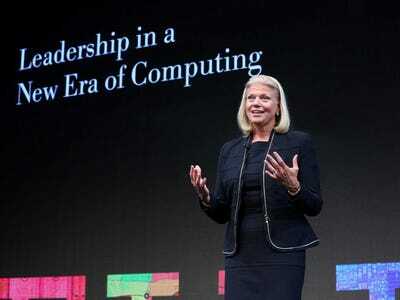 Rometty is a 33-year IBM veteran, CEO since 2012. There's no doubt that 2014 was a rough year for her. As enterprises shift to the cloud, they are not buying as much hardware, software and consulting services, IBM's bread-and-butter businesses. While IBM has some real game in cloud computing, overall revenues are shrinking faster than cloud is growing. That has caused insane stress on the company, which was, until last month, twisting itself into pretzels to try and grow profits on this shrinking revenue. She just gave up on a promise made by her predecessor to hit a specific profit, $US20 earnings per share, by 2015. That said, IBM is still one of the largest tech companies in the world. Rometty has a plan to get it through this tumultuous period even if she's under the gun to prove her plan will work. 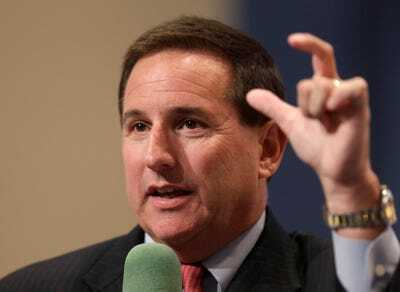 In September, Mark Hurd was promoted to co-CEO of Oracle, along with Safra Catz. Hurd is known to have a brilliant mind for figures, like a human spreadsheet, able to calculate columns of numbers in his head. 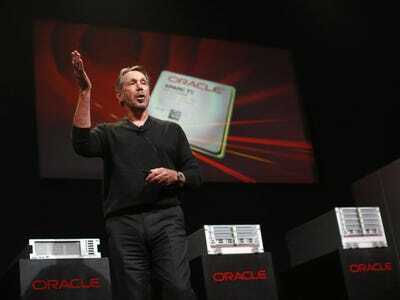 Right now, he's got Oracle's famous sales force out ramping up the company's share of the hot cloud computing market. When he's not working, Hurd is passionate about tennis. In September, Catz was named co-CEO of Oracle, alongside Mark Hurd, when Larry Ellison decided to step down and become CTO. She's in charge of the manufacturing, finance, and legal sides of Oracle's business. But she's best known as the M&A queen, who orchestrates Oracle's acquisitions. She's been at Oracle since 1999, rising quickly in the ranks and becoming one of Ellison's closest confidants. She was the company's full-time CFO since 2011, and a board member since 2001. Catz has also at times been the highest-paid woman executive in the world. Last year, she made $US44.3 million in total compensation, which also makes her the highest-paid CFO in the world. She's a graduate of the Wharton School, but also holds a law degree from UPenn, which made her Ellison's consigliere as well. 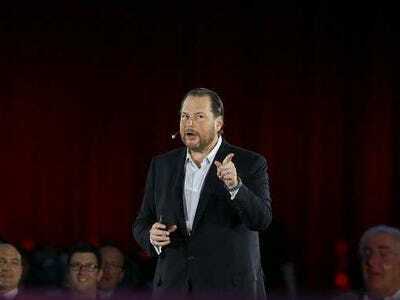 Benioff is a true tech visionary, the man largely responsible for the whole software-as-a-service cloud computing revolutions currently ripping up the enterprise tech industry. He's was a child-prodigy programmer who founded his first company at age 15 and got his first job at Apple working for Steve Jobs, then becoming a high-level exec at Oracle working for Larry Ellison in his 20s. 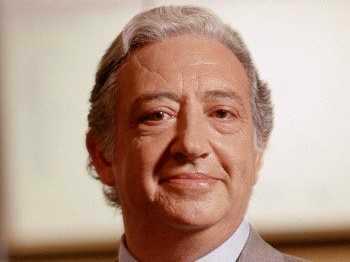 Today he's a self-made billionaire, worth about $US3.4 billion. President Obama has been known to dine at his house. He's most proud of his philanthropic work, including encouraging other tech companies to give back and a new children's hospital in San Francisco that bears his name. 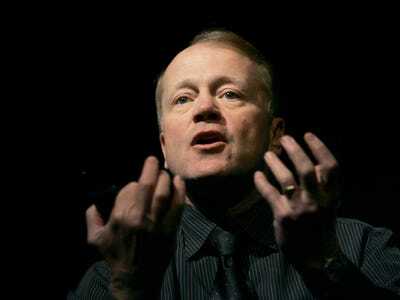 John Chambers joined Cisco 23 years ago to lead its sales team. He's been the CEO for 19 of those years growing the company from $US70 million into the $US47 billion in revenues it is today. There is endless talk of his retirement, mostly because he's 65, and keeps putting it off. But he says he's still having a great time and isn't ready to talk about it (or leave). Right now, he's leading Cisco through some big changes: partners trying to disrupt his network market and eat his lunch and efforts to get Cisco into the cloud computing game with a $US1 billion investment to build a new cloud. Chambers is orchestrating a massive reorganization of the company right now to make it more nimble and able to compete. No one doubts that he'll pull it off. 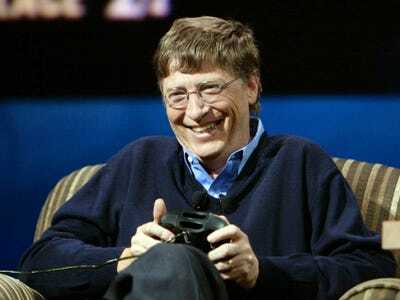 Bill Gates, the co-founder of Microsoft, is way more involved with Microsoft these days than he has been in years. It's almost a CTO role. 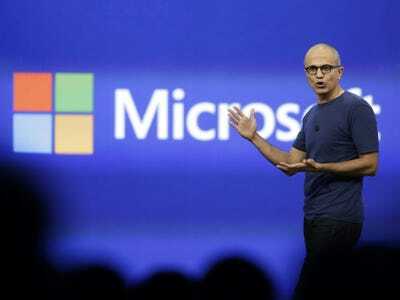 He now spends about one-third of his time working at Microsoft, helping Nadella craft new products and services. The rest of his time he's solving some the world's most difficult problems like poverty, education and disease, through the Bill & Melinda Gates Foundation. As the world's richest man, worth an estimated $US81 billion, Gates also makes investments in various tech startups. In February, after a long and public search, 22-year Microsoft veteran Satya Nadella became the third-ever CEO of one of the most powerful tech companies in the world: Microsoft. 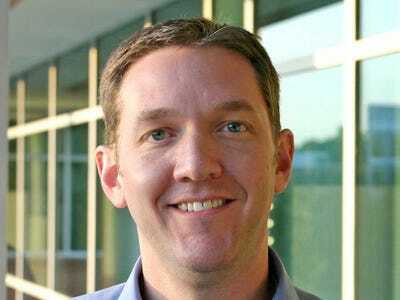 He was previously leading Microsoft's cloud and enterprise business. His new mission is a daunting task. 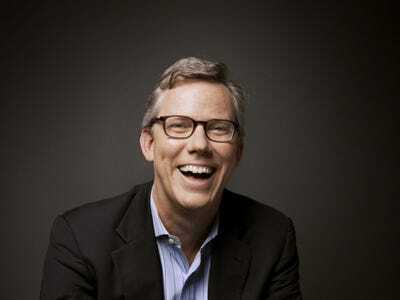 He's revamping Microsoft's sprawling bureaucratic culture and giving the company a new mission. Instead of being focused on Windows, he's focused on a new generation of productivity software that runs on any device. 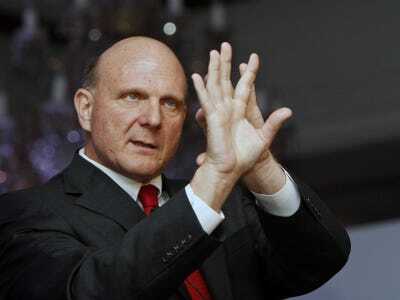 Nadella is working closing with Bill Gates to make this change. And he's earning friends in the industry by making the company ditch its hard-nosed competitive history and morph into a kinder, gentler partner. In September Larry Ellison shocked the tech world when he stripped the CEO title from his business card and made himself CTO, and executive chairman, instead. The fabulously wealthy Ellison, worth about $US46 billion, took a modest pay cut with the title change, too. He'll earn $US67 million next year. But make no mistake, at age 70, he's still the most powerful person of the company he co-founded in 1977 and led as CEO for 37 years. And he's still one of the industry's major visionaries, with a unique sense of where tech has been and where it's going. He's been there for all of it. Ellison is a self-made man, known for enjoying his money. He spends extravagantly on real estate, aeroplanes, islands, sailing. Both of his kids, Megan and David, are powerful Hollywood movie producers, too. Here's the 50 most powerful people in enterprise tech from last year!